“Ow, my joints hurt!” “I’ve got a bad knee!” “I pulled my elbow!” Have you said any of those? Maybe? 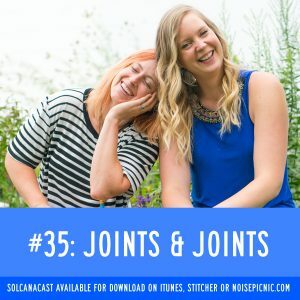 Come take a ride on the joint express (not Pineapple Express but hashtag shrug) to understand the mechanics of our joints, and what to do if yours hurt, from the inside out. We’ve got a call-in listener today ask HIS joint question, and you can ask ANY questions on upcoming shows! Don’t forget to write us a review on iTunes and we’ll give a shout out–every review matters! NoisePicnic.com – Check out Totes Recall!